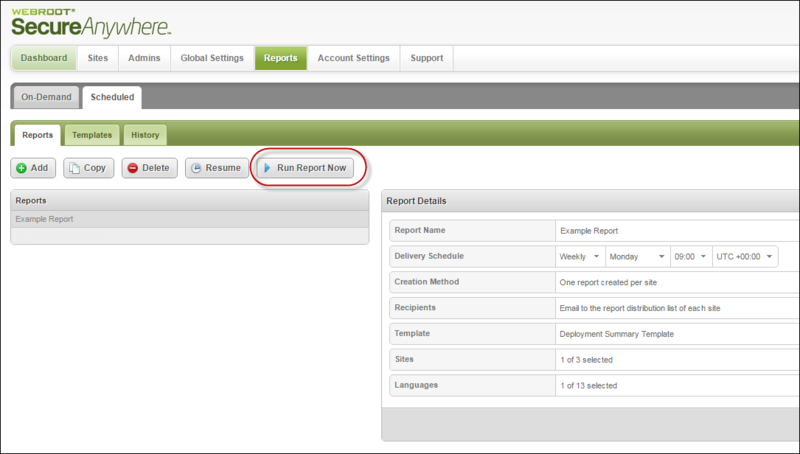 At any time you can access a report outside of the set schedule by using the Run report now tool. This tool offers instant report scheduling with the ability to apply one-off overrides to the creation method and distribution list. You can change the report to aggregate information across sites or report on individual sites and customise the recipients — without permanent changes to the ongoing schedule. Alternatively, you can run the report exactly as it would have on schedule. The console displays with the Sites tab active. 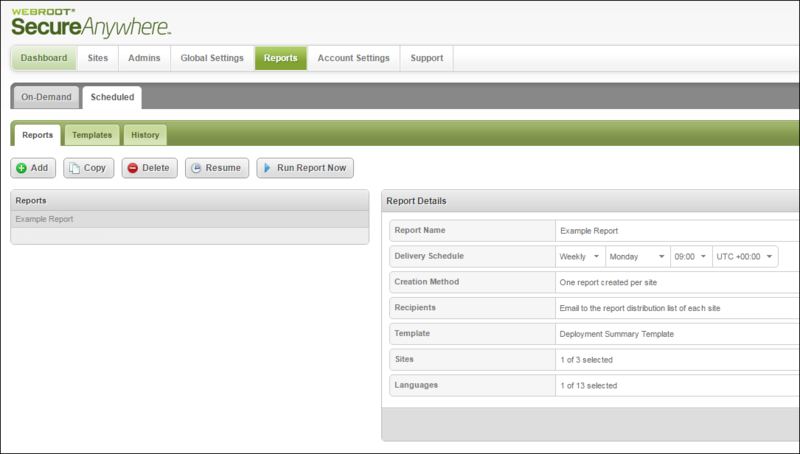 The system displays the Reports pane with the Reports tab active. 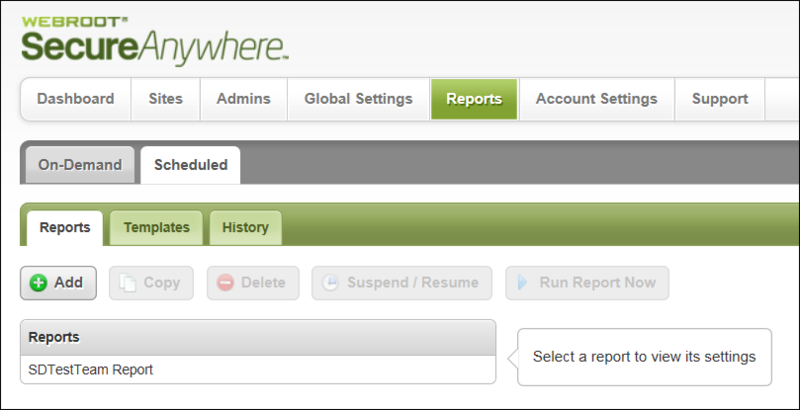 The Scheduled tab displays with the Reports tab active. Click the name of the report that you want to run. The Report Details pane displays. Update report details as needed, then click the Run Report Now button. The Run this report now window displays. To run the report without any changes, click the Run button. To run the report with changes, deselect the Run report without any changes checkbox, select the creation method, and enter the name of any recipients for the report, then click the Run button.